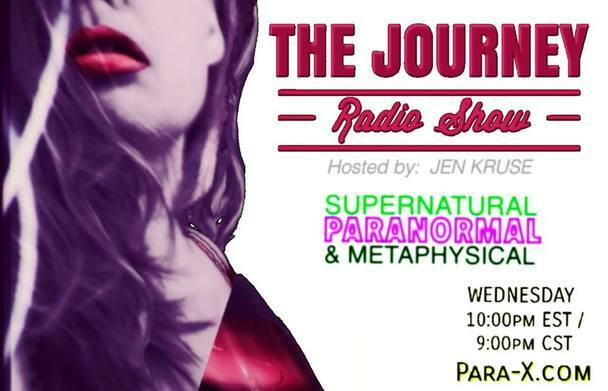 She-Squatchers interview Dan Williams & Scott Hibbs from the Paranormal Research Institute on THE JOURNEY Radio Show to hear of their work & a personal story from when Dan was in Alaska & ended up experiencing some Bigfoot activity! ​Paranormal Research Institute (PRI), was founded in 2016 by Dan Williams. After living in Alaska for about 9 years with his wife and children, Dan moved back to his hometown in Illinois in 2014. In this same year Dan met Scott Hibbs at a ghost discussion group meeting held at a local Ottawa, Illinois community bookstore. The Ottawa/Utica, Illinois area is the central location for the PRI, however it's members are spread out across the country. Scott, like Dan, has been interested in most things paranormal ever since childhood, often using the analog tape recorders that were prevalent at the time to experiment with collecting EVP'S. Both shared the same ideas that paranormal investigating needed to be taken to a higher, more scientific level to be taken seriously by the 'normal' scientific community. The PRI uses scientific data logging called cartography to time stamp and organize all evidence collected. When specific patterns, such as time and atmosphere conditions during these events are monitored, they can hopefully put together a forecast to predict this activity. They also apply a carefully thought out rating system called P.A.R.S. to give each investigation. The PRI is working with some renowned people in the field to try and do their best to not only capture evidence of ghosts as others have, but to once and for all provide proof of their existence period!